Contemporary friendship story, which revels in rich diversity of race, color, and class. 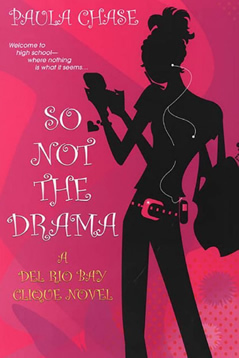 Hoping Del Rio Bay High will live up to her greatest expectations, Mina has big plans for infiltrating the school’s social glitterati. After all, she’s been mad popular for as long as she can remember—and she isn’t about to go from Middle School Royalty to High School Ambiguity. But Del Rio Bay is a big school, so it’ll take some plotting to avoid getting lost in the crowd. Good thing she isn’t afraid of a little hard work—and that her playground peeps, Lizzie, Michael, and JZ, have got her back.